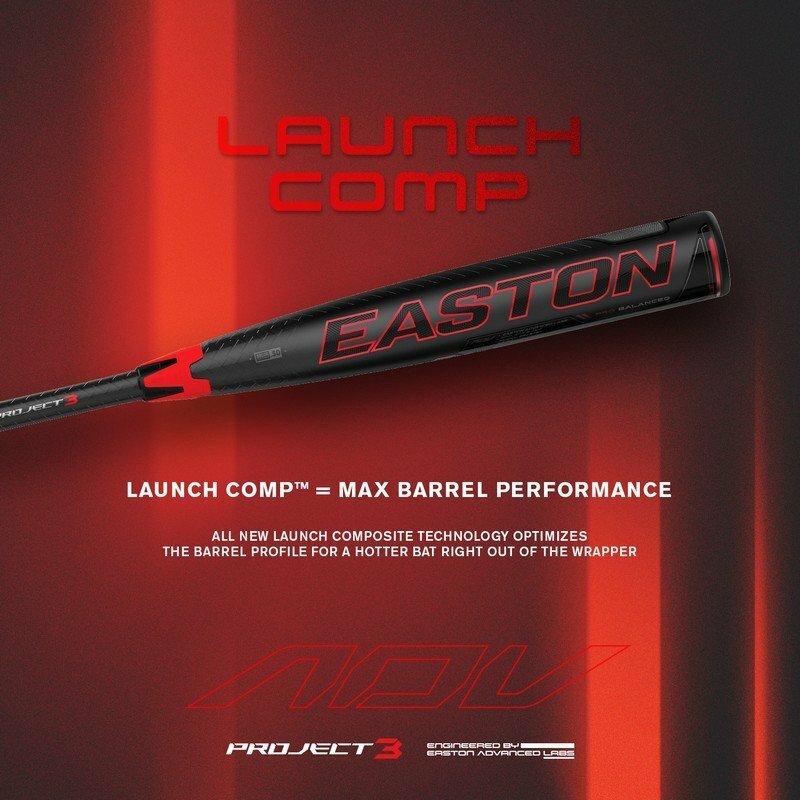 The 2018-19 Easton® ADV™ is a two-piece composite pro balanced BBCOR bat designed for the best combination of power and speed. It features new LAUNCH COMP™ technology–a new barrel layup that provides hotterout of the wrapper performanceand a stiffer handle design for best-in-class feel. A revolutionary new ISO CXNTM2-piece construction,that features proprietary NITROCELLTMfoam, isolates the handlefrom the barrel, creating better feel and performance. 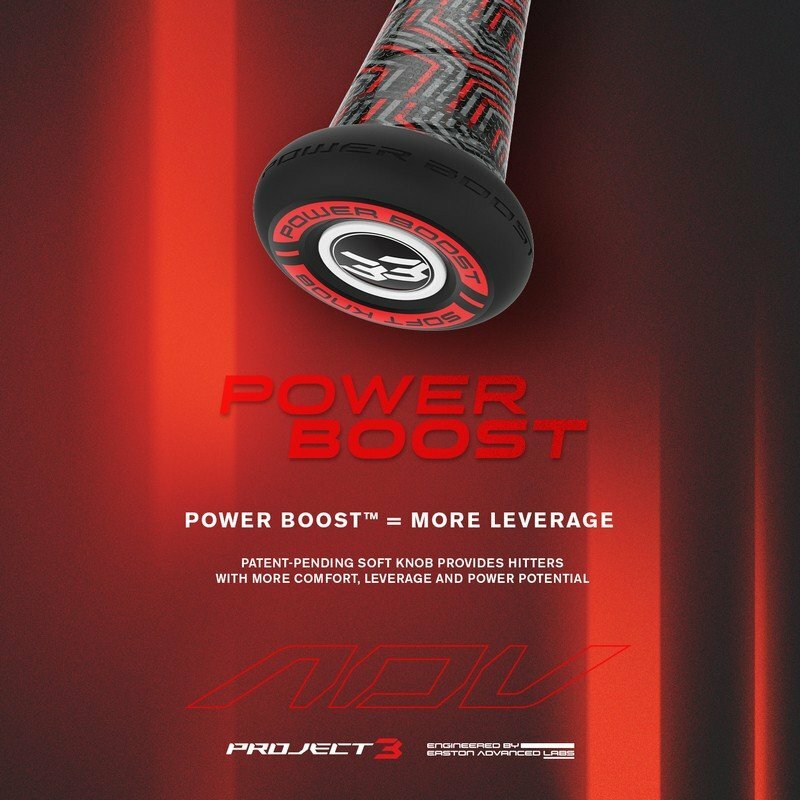 The ADV™ features Easton’s innovative new patent-pending Power Boost™ technology –a softer knob design that gives hitters more leverage and power potential, and reduces vibration for more comfort in the bottom hand. The optimal barrel design provides players with better bat control and maximum launch angle, and the new Speed Cap™ provides a more flexible and responsive barrel with a neutral sound on impact. The ADV™ features a custom Lizard Skins™ DSPbat grip, providing players with best-in-class feel, cushion and tack. A revolutionary new ISO CXN TM 2-piece construction, that features proprietary NITROCELLTM foam, isolates the handle from the barrel, creating better feel and performance. LAUNCH COMP™ technology – a new barrel layup that provides hotter out of the wrapper performance and a stiffer handle design for best-in-class feel. 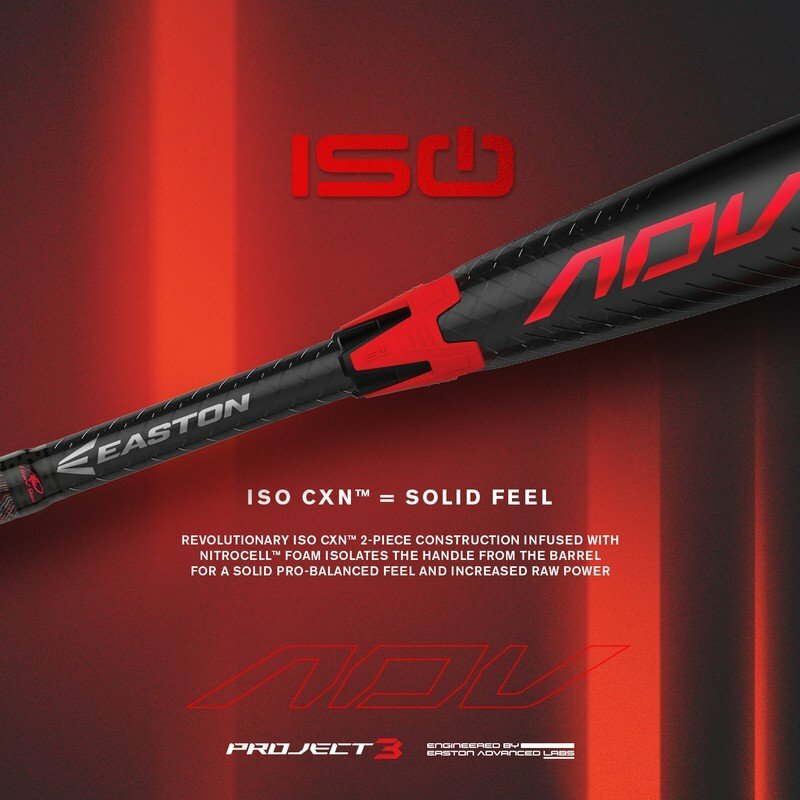 The ADV™ features Easton’s innovative new patent-pending Power Boost™ technology – a softer knob design that gives hitters more leverage and power potential and reduces vibration for more comfort in the bottom hand.